Today’s Dubai is a city which is made for tourists and for the people love rich lifestyle and so there is no shortage of fun things to do in Dubai and see while your holidays or stay in Dubai. Best thing about Dubai is that almost everything is very close to each other, In Fact there is a saying that Dubai is a city where almost everything is only a minute away from Dubai Airport. Dubai is the only place in world where you can enjoy Jet-skiing, snow skiing, desert safari, scuba diving and hot air balloon ride in one day. Dubai is a paradise for shopping lovers and famous for its mega shopping malls in all over the world. 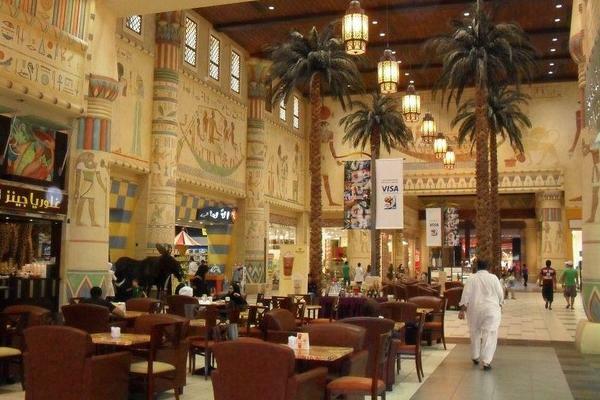 I can bet, you can never get bored by visiting shopping malls in Dubai, there is always something new waiting for you. Visit shopping malls like Mall of the Emirates, Ibn-e-Batuta, City Center, Burjuman, Lamcy Plaza, Wafi City and Gold Market at Deira. You will find almost everything in under one roof with a lot of entertainment stuff for the visitors. If you are a tourist you could ask Hotel Management to arrange a shopping tour for you or can get contact number of any touring agency in Dubai. Dubai beaches can be rated as the most beautiful beaches in the region. There are many 5-star hotels, private clubs, public places like playgrounds, barbecue sites, food kiosks, dinner restaurants with personal waiter/waitress on beach and several picnic areas for families all along the length of Beach. Al Mamzar Beach and Jumeirah Beach are most attractive beaches in Dubai with world class hotels like Jumeirah Hotel and Le Royal Meridien Beach Resort & Spa. This could be the best option to see all the magnificent land marks and whole of Dubai in a shortest time. It will be a life time experience to watch man-made wonders, like The Palm Island, The World Islands, Atlantis Hotel, Burj Khalifa, Burj al Arab and all of Dubai, from birds eye view. You can ask hotel management for arranging the trip or you can book in advance by searching on internet. There are plenty of agencies working in Dubai who will offer their services of Helicopter Tour of Dubai. 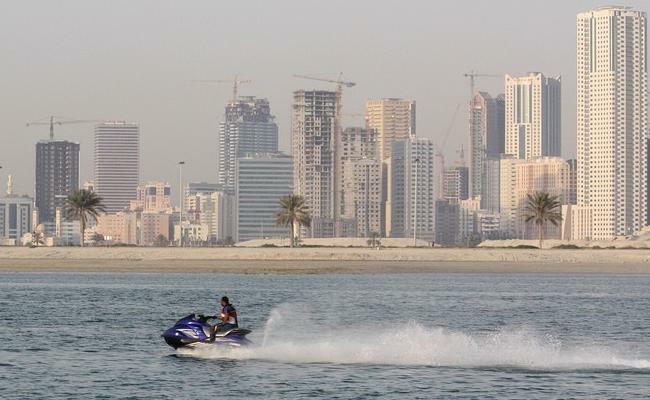 Jet Skiing in Dubai can be an amazing experience for you regardless you are a beginner or a professional. 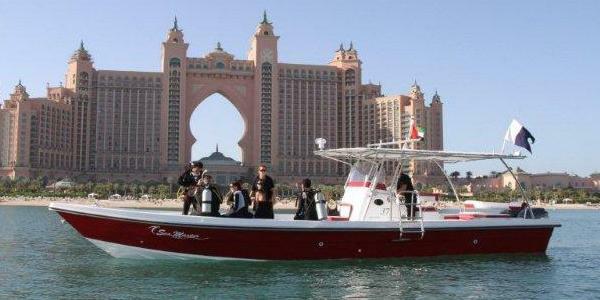 Warm water of Gulf and sun shine all around the year makes Dubai a paradise for water skiers. Every Year Dubai Water Sports Association invites top professional skiers from all over the world to participate in a week-long Water Ski festival. Ask your hotel management or tour operator for further details. Ski Dubai offers an amazing skiing and snowboarding experience right in the middle of desert. 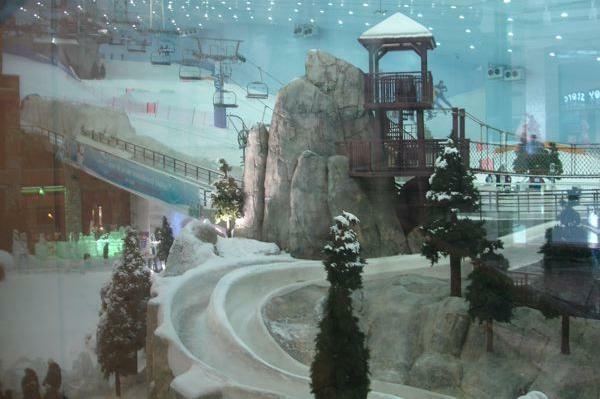 Ski Dubai opened in 2005 at Mall of the Emirates (Dubai Mall). 22,500-sqft Ski Dubai consists of 60-meter high indoor mountain with 5 slopes of varying steepness and difficulty including a 400-metre long run, the world’s first indoor black run and a 90-metre-long quarter pipe for snowboarders. Means that young or Adult there is something for everyone. You can even sign up yourself or your children for ski/snowboard lessons. Overall Ski Dubai is a unique attraction that offers amazing fun time to enjoy real snow all year round in Dubai. Dubai Autodrome is a part of motor sports facility plan by the Union Properties Motorcity. Dubai Autodrome opened in October 2004. 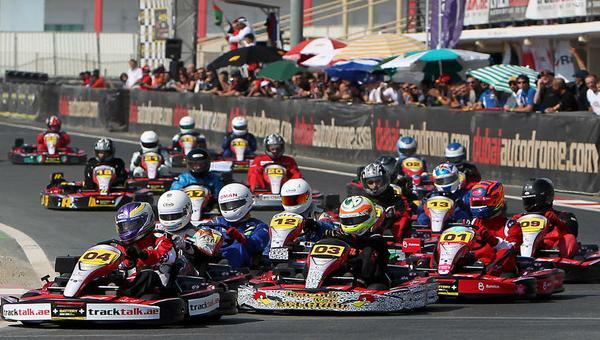 Dubai Autodrome includes 5.39km Federation Internationale de l’Automobile (FIA) track, A Race and Driving School and Commision Internationale de Karting(CIK) approved go-Karting Track. Dubai Autodrome also had hosted the final round of the FIA GT Championship earlier this year. Jumeirah Beach is the most known beach of Dubai and has a very long length of beach with many world class hotels and private clubs along with public access areas. Jumeirah Beach is about 40minutes drive away from Dubai City Center. You can swim, bath and can relax yourself with all the facilities you can imagine of. 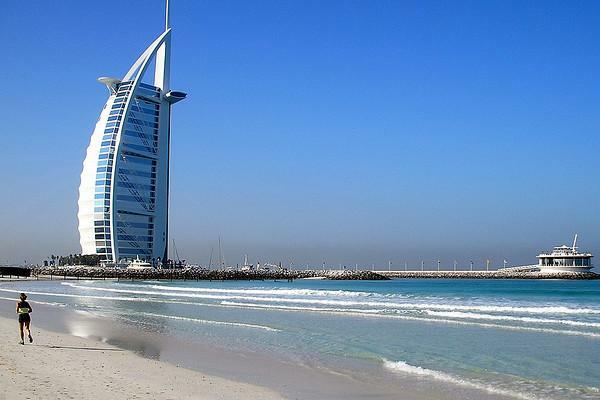 Major attraction of Jumeirah Beach is Burj al Arab Hotel. World tallest and only 7-star hotel. Since its build in 1999 Burj-al-Arab is the iconic symbol of Dubai. 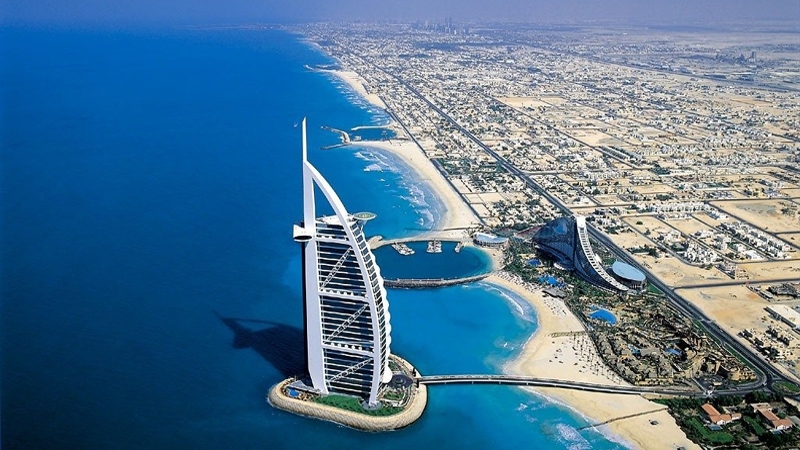 Remember that Burj-al-Arab management will charge you a small fee to enter the hotel. Wild Wadi Water park is one of the most advanced water park in the world with 24 amazing rides and slides. Wild Wadi Water Park is located in between Burj-al-Arab and Jumeirah Beach Hotel where you can enjoy variety of water rides. 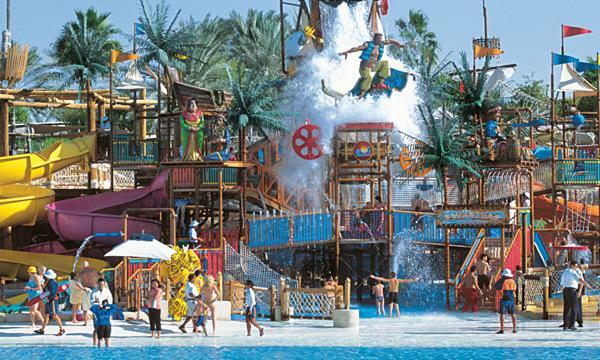 Wild Wadi Park has so much fun for whole of family that i rate it as the must visit place in Dubai. At Wild Wadi you can get two types of tickets. One for a few hours and one for the whole day(recommended). Once you enter the Wild Wadi water park all the rides and slides will be accessible. 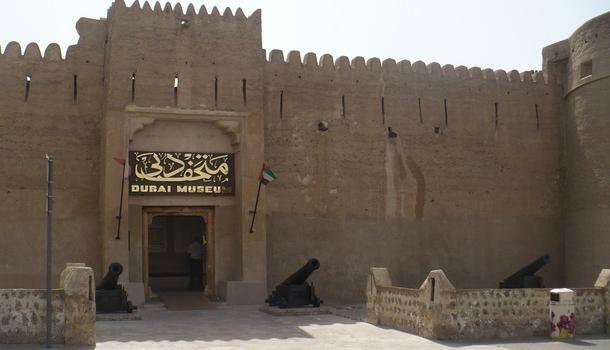 Dubai Museum is located at Al Fahidi Fort which was built in 1787 and is known as the oldest building in Dubai. Basic concept of Dubai Museum is to show the traditional lifestyle of locals. Dubai Museum also includes antiquities and artifacts that used to be traded with African and Asian countries in old days. It is becoming major tourist attraction as more than 80,000 tourists visited in 2008 and every year number is increasing tremendously. Visiting World Tallest building can be life time experience for you and for your kids. 2717ft Worlds tallest building was opened in 2010. Burj Khalifa Opening Ceremony was one of the most spectacular opening ceremony of any building in world. From top of Burj Khalifa You can enjoy the stunning scenes of Dubai. Burj Khalifa has also got the worlds tallest restaurant situated on the 122nd floor at 1350ft up in the sky. Desert Safari is the must do thing in Dubai. Ask your tour manager or hotel management to arrange desert safari adventure for you. 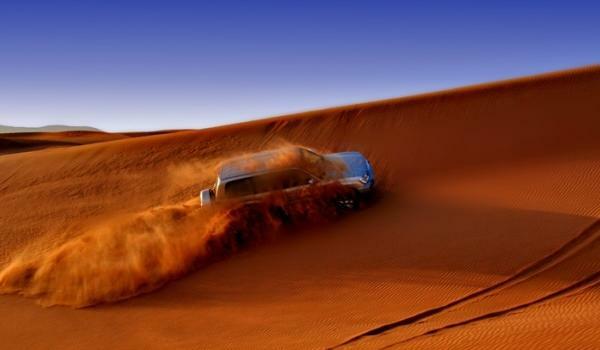 Tour operator will pick you up from hotel at afternoon and will show you their driving skills in desert. After 90 minute driving in desert they will park at some place to watch an amazing sunset. After that they will drive you to a camp where there is an arrangement of BBQ with rhythms of best belly dancers. There is an option whether you want to spend a night in middle of desert or want to go back to hotel. Staying at night in desert is an amazing experience. This is a wonderful place to have a buffet dinner while cruising along the Dubai creek. 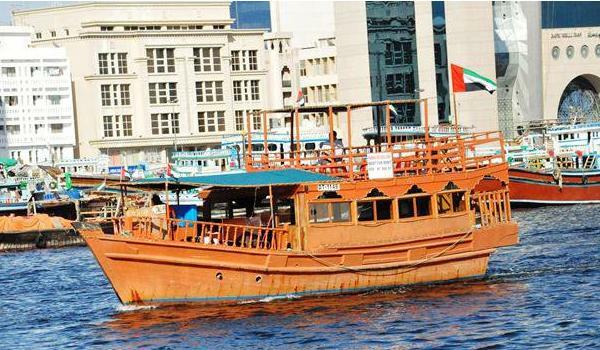 This is known as Dhow in Dubai and these boats are mainly made out of wood similar to an ancient Arab boats or ships. Because of its popularity you should book your trip in advance. 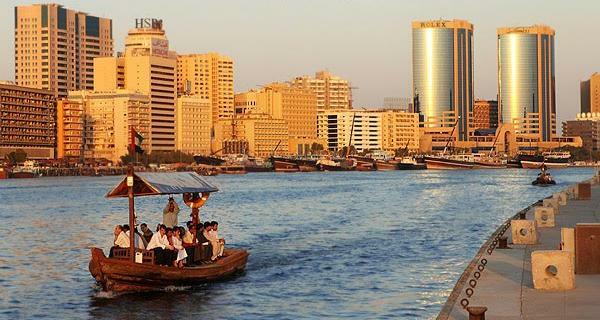 2hours cruising along Dubai Creek can be an amazing experience to enjoy the dinner with friends and family. This is a fantastic trip for both kids and adults and because of hot weather all over the year best time to visit is in evening. Dubai Creek Park Tour you can go on cable car across the park and get an awesome view of Dubai from the air. Also you can enjoy an “Abra” ride. Abra are small passenger boats to transport from one side to the other of Dubai Creek. Thousands of people are still using abras everyday as a transportation source. The view from Creek and beautiful buildings at the bank are amazing and i am sure you will love the ride. You have to go to “Abra Jetty” to get Abras. 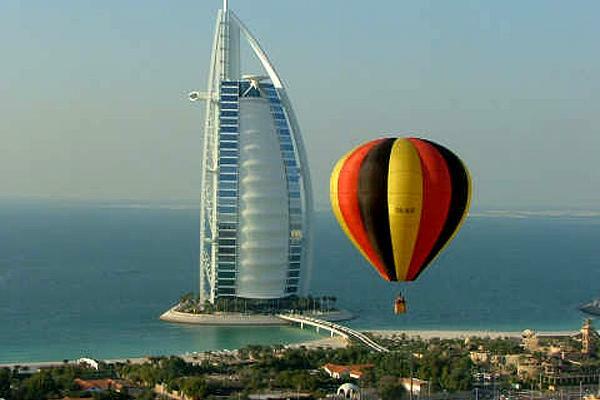 Another way of enjoy Dubai from bird eye view is a ride on hot air balloon. Sometime it is better and more adventures than a helicopter ride. You can enjoy the ride over The Palm, The World, Jumeirah Beach, Dubai Marina and beautiful sunrise. You can ask hotel management or search on internet for agencies like Amigos Balloons, Dream Days and Viator Tours. 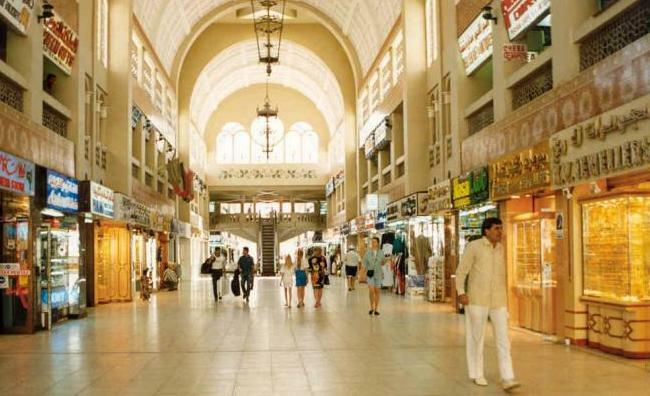 Dubai is not only a name of big shopping malls but also you can enjoy open markets called souks. Visit to souks will provide you whole new experience of shopping. Mostly these are traditional open markets where you can bargain with shopkeepers and can find some fascinating gifts for your friends. Most Famous market of these is Gold Market. You can find gold of all types and prices. Gold Market can be a must visit place in Dubai to experience something very unique. There is another theme park where you can take your kids is Wonderland. This is a combination of an amusement park with water slides and rides of almost all kinds called Splashland. Wonderland and Splashland is located at the Al Gharhoud on Bur Dubai. With all kind of kids stuff it also has many fast food restaurants of almost all kind varieties. Food is amazing here. 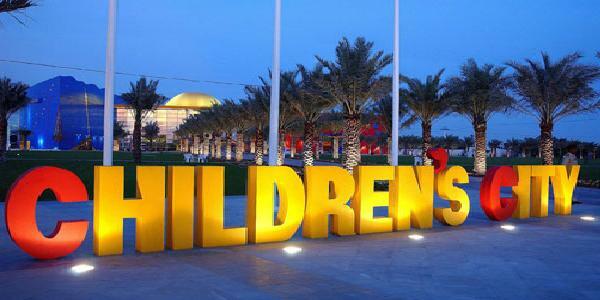 Children’s City is consists of more than 80,000sqft at Dubai Creek Park at Bur Dubai. It has large educational area with attractions for kids from age 2 to 15year olds. Children’s city can be an amazing place for your kid where they can enjoy activities on nature, space, science, culture, human body and most interestingly flight simulators. If you love scuba diving and have scuba diving license, certainly you will discover a whole new world under the sea. Along the scuba diving you can feel the excitement of deep-sea fishing, you will find baby-sharks and huge barracudas. Dubai used to be a home of fishermen before the oil was found and converted itself into a most fascinating place in world. 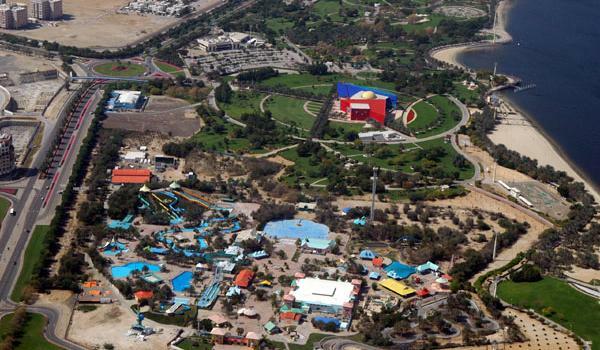 Dubai Zoo is consists of 3.7acres area and was built in 1967. 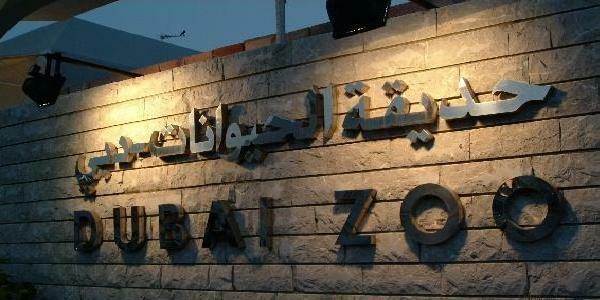 Dubai zoo is the oldest zoo in middle east and used to be considered as Dubai landmark in late 60s as it indicated the “town’s end”. Dubai Zoo houses approximately 230 animal species and attracts large number of visitors every year. In 2008 the number of visitors was 336,346. However, Dubai authorities are planning new and more advanced Zoo and will be open very soon. Nad Al Sheba Rece Course is the home of one of the worlds most famous horse race. This race course rates with the highest stakes in horse racing. Nad Al Sheba Race club can is located at south-east of Dubai. 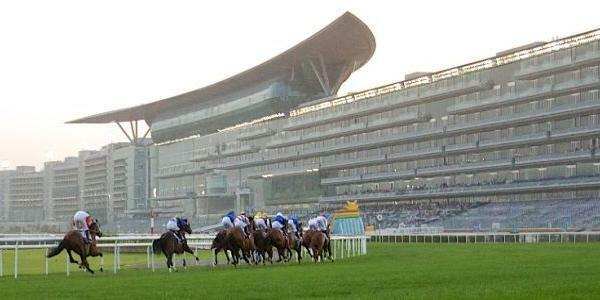 Dubai Horse Racing festival usually starts in January and it goes for nine weeks. However, there are also other races between November and April as well. Entrance at the club is free and you can enjoy the horse training sessions in winter morning.